1. I would get bored and want to touch on other fascinating topics, such as Henry K. Wampole & Company and its attempts to sell pharmaceuticals in Argentina using images of the Virgin Mary. 2. More importantly, other bloggers have already done great work on the topic of comic book advertisements. There's not much new that I could bring to the party. A case in point is today's piece of ephemera. This full-page advertisement for the Monster Fan Club and its "ABSOLUTELY FREE! 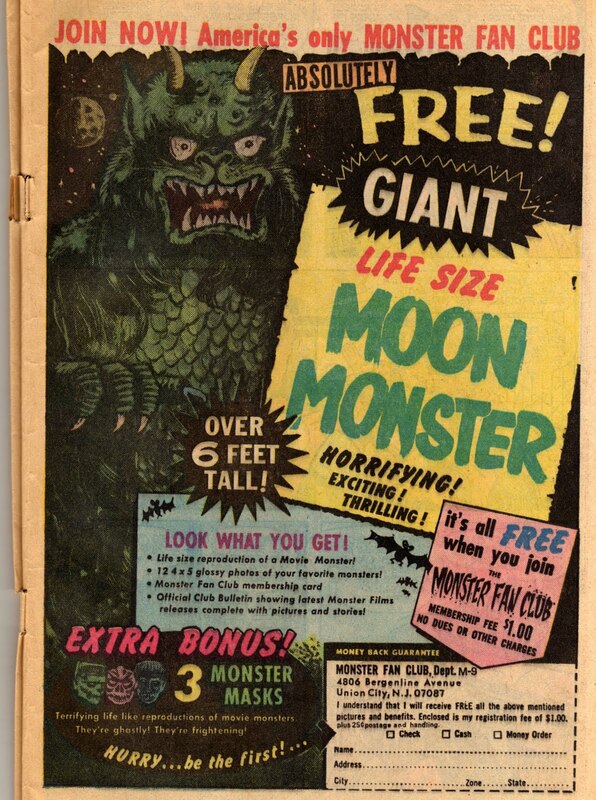 GIANT LIFE SIZE MOON MONSTER" comes from the March 1971 issue of Superman's Pal Jimmy Olsen. "That ad goes back at least as far as 1963 or -4, when I saw it in Strange Planets, a pirated EC comic that had been reprinted. My friend and I were enormously excited over the prospect of an actual six-foot moon monster--plus masks!--until his father warned us that they'd only be made of paper. It wasn't often that an adult was right about anything in those days (no day passed without five or six assertions that I'd outgrow comic books, for example), but he sure called that one right!" So I think that, for the most part, I'm going to leave the comic book advertisements to other great websites. Here's a rundown of places you can visit to get your fix of "authentic" submarines, X-ray specs, Hostess ads1, frontier cabins, toy soldiers, joy buzzers, sea monkeys, Charles Atlas, and much more. Tomorrow's Heroes has a great gallery of more than 1,000 different comic book ads. 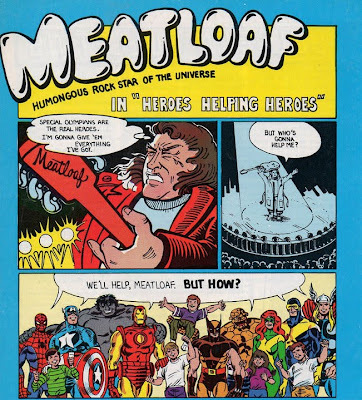 Comic Book Resources has a fantastic archive, with commentary, of old comic book ads. Cracked.com's "12 Comic Book Ads That Taught Us To Be Cynical". The Vintage Ad Browser has a fine subsection on comic book ads. TopTenz.net's "Top 10 Outrageous Comic Book Advertisements". The Comics Ninja has a series on the funniest comic book ads of all time. Here's one of the entries. Finally, here's a great recent article on i09.com (one of my favorite geeky sites) titled "In praise of the totally lunatic comic book advertisement." Elizabeth Taylor died today at age 79. Her 1963 big-screen spectacle "Cleopatra" is mentioned in this old Papergreat post. 1. To get meta-geeky, here's Alan Moore discussing parodies of the Hostess advertisements, using his Watchmen characters. 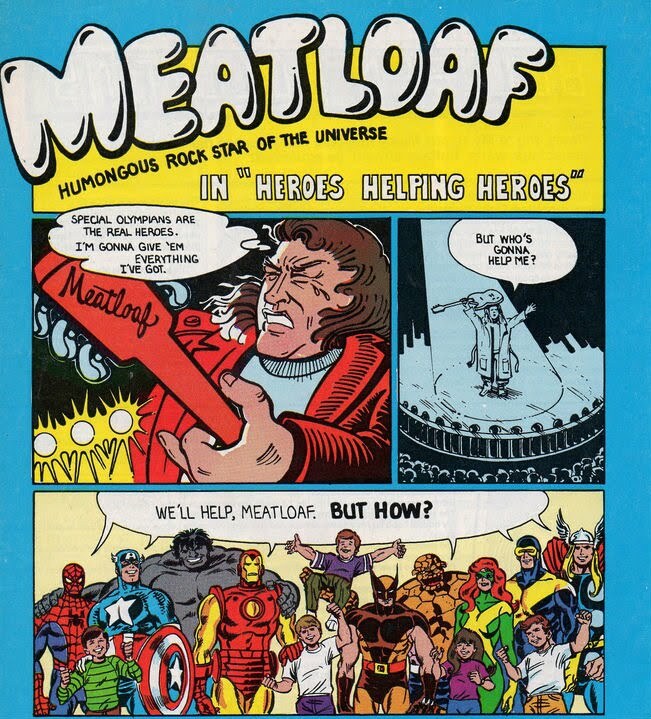 I remember the Meatloaf ad and not knowing who the hell he was, or why he would be referred to thus.